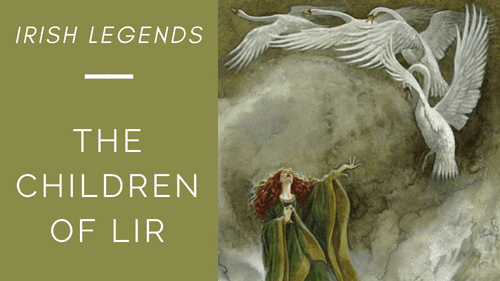 Ever wondered about your Irish family roots? If you are a Walsh, an O’Sullivan, O’Connor, Doyle or a McCarthy then look no further! A little while ago we profiled five of Ireland’s most common surnames. Due to the popularity of the piece, we have decided to continue our exploration of Gaelic family names. 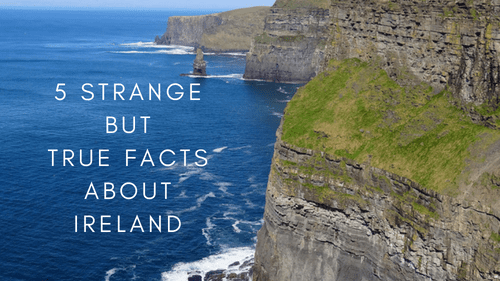 In this blog, we will look at the other names featured in the list of Ireland’s top 10 surnames. Family Mottos: Pierced but not dead. Or, Do not irritate the lions. The name Walsh can be traced back to the Gaelic word Breathnach. This literally translates to Welshman but is used interchangeably with Briton or Foreigner. The name has origins in the 12th century when Welsh and English Normans settled in Ireland under Strongbow. The native Irish referred to these soldiers as ‘Breathnach’. Over time, those carrying this name anglicised it to Welsh and then Walsh. 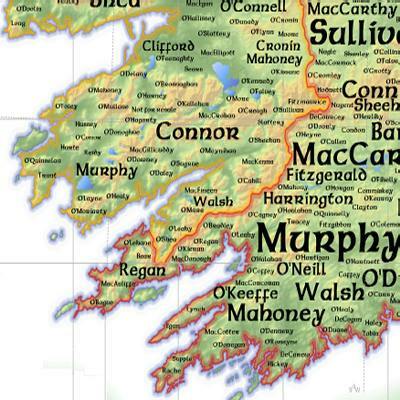 The Walsh name is most dominant in the South East coastal counties of Wexford, Kilkenny and Waterford. Family Motto: The steady hand to victory. According to folk tales, the O’Sullivan clan are descended from a man named Owen who landed on the Beara Peninsula in Cork around 1600BC. They were originally part of a large group called the Eoganacht (trans. “Children of Owen”). By 700-900AD, the Eogánacht split and a faction adopted the name O’Suileabhain. The name O’Sullivan is derived from the Irish Ó Súilleabháin meaning one-eyed or hawk-eyed. Some historians believe that this fearsome name was chosen in order to scare away rivals. 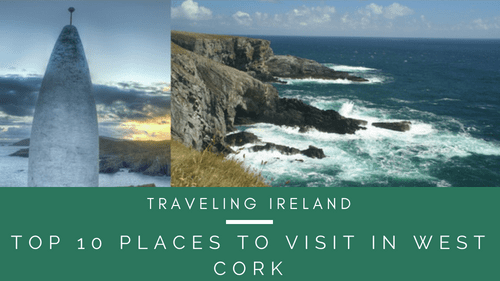 They did not stray too far from Beara, and today almost 80% of O’Sullivans are based in the southern counties of Cork and Kerry. Family Motto: From God every help. This clan name arose in the 10th century as a derivative of its founder Conchobar mac Taidg Mór who was a King of Connacht from c. 855 – 882. There are several disputed meanings of this name, including ‘lover of hounds’, ‘wolf-lover’ or ‘patron of warriors’. The Conchobair clan were one of the powerful families in Ancient Ireland with about 100 Kings of Connacht and 2 High Kings of Ireland. Family Motto: He conquers by fortitude. Family Motto: Nothing is Difficult to the Brave and Faithful. 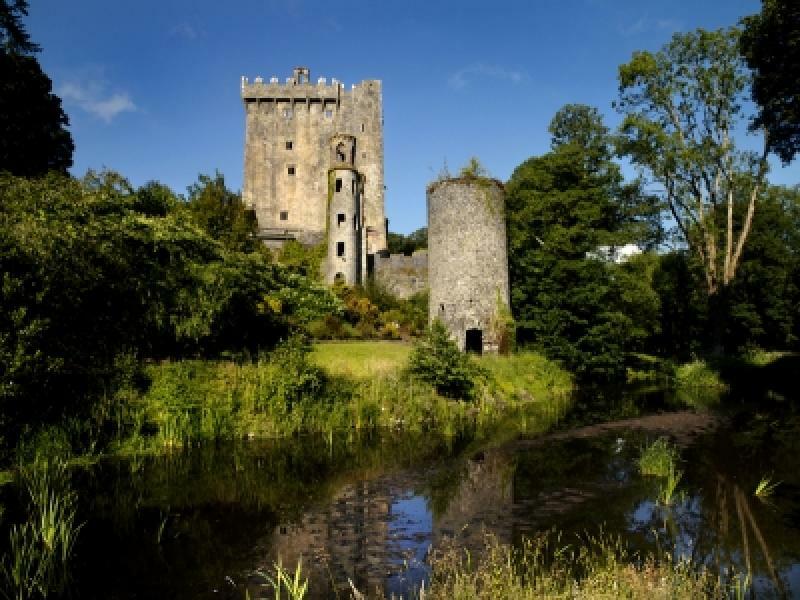 Did you know that the McCarthys have a link to the famous Blarney Castle? This was the seat of the Muskerry branch of the clan. According to legend, the Blarney Stone was gifted to Cormac MacCarthy, King of Desmond, from King Robert the Bruce of Scotland. This ‘magical’ stone was presented to McCarthy as thanks for his assistance in the battle of Bannockburn in 1314. The castle you see today was built by Dermot McCarthy in 1446. Dermot was renowned for his eloquence and this is the reason behind the Blarney Stone’s reputation for imparting the gift of the gab upon those who kiss it.